Four major Canadian banks have slashed their mortgage rates to 2.99 per cent – temporarily – in a bid to win more business as the housing market cools. Royal Bank of Canada was the latest to join the fray late Thursday, after Bank of Montreal fired the first salvo a day earlier by cutting the interest rate on a five-year fixed mortgage half a percentage point. CIBC and TD Canada Trust were quick to match BMO’s rate, though like RBC, their offer is on a four-year fixed mortgage, one year less than BMO is touting. BMO’s rivals all said their special rate mortgages come with all the same features as a regular mortgage, while BMO’s contains some restrictions. The latest rate war echoes a similar one Bank of Montreal launched in January. At that time only two other banks, TD and RBC, jumped in. Both withdrew their offers early citing changes in the bond market, which influences mortgage rates. This time, Bank of Montreal has upped the ante, adding a 10-year mortgage at 3.99 per cent, which rivals have so far declined to match. All offers are temporary and expire within a few weeks. The price war appears at odds with the latest warning from Bank of Canada Governor Mark Carney that Canadian consumers are carrying too much debt. However, the big commercial banks fear a slowing housing market could eat into their loan growth. Both TD and BMO said their latest offers will help Canadians pay down their debts faster. TD allows customers to double up their regular mortgage payments any time, and also pay off 15 per cent of their principal once a year. About 20 per cent of its customers used the annual payment feature in the past 12 months, Farhaneh Haque, director of Mortgage Advice, TD Canada Trust, said in an interview. “I think it’s a positive sign Canadians are taking advantage of these flexible payment options,” she said. CIBC also said that all the usual features would apply to its special rate four-year mortgage. That’s in contrast to BMO, which has attached a number of special conditions to its two new low-rate mortgages. Both come with a 25-year amortization period, which can make it more expensive to carry than a typical mortgage with a 30-year amortization payback period. 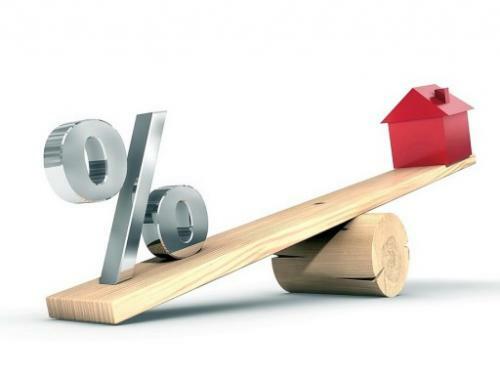 Frank Techar, head of Canadian personal and commercial banking at the Bank of Montreal, defended the shortened amortization period saying it would be “good for Canadians and good for the stability of the Canadian housing market. The BMO products carry other restrictions as well. Customers can pre-pay and make lump sum payments as long as the total doesn’t exceed 10 per cent of the principal amount owed. Most mortgages let you make monthly and lump sum payments of as much as 20 per cent. As well, you cannot refinance or switch your mortgage to another lender for the length of the term. Take action before any mortgage guidelines tightens.If you are looking to buy home we can help.We send a customised list of homes matching to your requirements and price range.Then once you like any home we arrange from showing to negotiating price on your behalf,Help in getting mortgage and closing.All our services to Buyers are completly FREE. Submitted by Jason Bravo Jason Bravo on April 3, 2019 - 6:59am. Submitted by panda bhavani on February 26, 2019 - 4:22am. Magento Commerce, Microsoft .Net, Java, Web Design & Responsive UI Development, AngularJS, NodeJS, Android and iOS app development, Python, Digital Marketing, Software Testing and SEO. Submitted by gloriajohnson gloriajohnson on February 19, 2019 - 10:21am. Submitted by tharak amul on February 16, 2019 - 12:37am. Submitted by panda bhavani on February 14, 2019 - 2:49am. Submitted by stenpney stenpney on February 5, 2019 - 3:29am. Submitted by panda bhavani on February 14, 2019 - 3:51am. and state of the art infrastructure. Media3 is one of the best IT Training institution in Visakhapatnam & Vizianagaramwith most latest software courses on board like PHP, WordPress, Magento Commerce, Microsoft .Net, Java, Web Design & Responsive UI Development, AngularJS, NodeJS, Android and iOS app development, Python, Digital Marketing, Software Testing and SEO. Submitted by glucy238 glucy238 on February 4, 2019 - 4:58am. Submitted by panda bhavani on March 13, 2019 - 4:57am. Submitted by khatri 58 on April 27, 2018 - 6:45am. Submitted by Meghan Way on April 17, 2018 - 3:37am. This is a great post. I really like the way you wrote this. Submitted by panda bhavani on March 13, 2019 - 5:01am. Commerce, Microsoft .Net, Java, Web Design & Responsive UI Development, AngularJS, NodeJS, Android and iOS app development, Python, Digital Marketing, Software Testing and SEO. Submitted by khatri 58 on April 13, 2018 - 10:08am. Submitted by Robin Max on April 12, 2018 - 2:29am. Submitted by panda bhavani on March 6, 2019 - 7:00am. Submitted by khatri 58 on April 9, 2018 - 10:18am. Submitted by panda bhavani on March 6, 2019 - 7:04am. developed for superlative performance. Just like the youngest member of the family: the new polished slab and planks. Submitted by khatri 58 on April 7, 2018 - 3:35am. Submitted by khatri 58 on April 5, 2018 - 2:21am. Submitted by panda bhavani on March 6, 2019 - 7:06am. Media3 stands as a proactive, growth-oriented organization aiming at professional excellence with a pool of talented and dedicated work force. Our key strengths are motivated associates; value based work ethics, experienced personnel (live tech leads) and state of the art infrastructure. Media3 is one of the best IT Training institution in Visakhapatnam & Vizianagaramwith app development coursevisakapatnammost latest software courses on board like PHP, WordPress, Magento Commerce, Microsoft .Net, Java, Web Design & Responsive UI Development, AngularJS, NodeJS, Android and iOS app development, Python, Digital Marketing, Software Testing and SEO. Submitted by eyecare softgel02 on March 30, 2018 - 9:20pm. No need to toss a decent granite counter, just change focal point to walls, and, if one is going for expressive wallpaper, powder room is the place to do it. Obat luka bakar agar cepat kering Usually not a fan of green in baths, but there seems to be enough red & cream to neutralize the death cast. coordinated brushed nickel, too. this is refreshing. Submitted by khatri 58 on March 30, 2018 - 5:28am. Submitted by khatri 58 on March 28, 2018 - 8:35am. Submitted by Robin Max on March 6, 2018 - 3:21pm. Submitted by panda bhavani on February 26, 2019 - 4:26am. Gem Paver Systems is a paver manufacturing icon. A synonym for uncompromising elegance. A quality epitomised by every brick paver going back more than 30 years. Each one was developed for superlative performance. Just like the youngest member of the family: the new polished slab and planks. Submitted by Galang Saputra on December 8, 2017 - 4:48am. Submitted by khatri 58 on November 23, 2017 - 4:24am. Submitted by khatri 58 on November 22, 2017 - 6:28am. Submitted by khatri 58 on November 18, 2017 - 4:07am.